The EMMA International Collaborations are an innovative workshop model for un-structured creative collaboration between artists working in traditional craft and those engaged in contemporary method. The event has become a catalyst for worldwide creativity in the arts. Since adopting this new spontaneous approach to learning several collaborative events across the world have emerged. Notably: Collaboration NZ, McGregor’s Bay, New Zealand, Echo Lake, New Hope PA, Hawaii Collaboration, Holualoa, HI, Frogwood, Portland OR, Collaborations, Sydney Australia. In the summer of 2012 the second chapter of EMMA International Collaboration: EMMA ‘UNPLUGGED’ (a format based in using hand-tools and minimal use of energy) encouraged people to move out of their creative comfort zones, challenging participants to re-embrace traditional processes when it comes to making. Participants worked without the use of electricity but with the use of some compressed gases, paint materials and battery operated hand drills. In 1982 Saskatchewan-based artist Michael Hosaluk, and the Saskatchewan Craft Council organized a Wood Turning and Furniture Making conference in Saskatoon, Saskatchewan. This event brought together some of the worlds finest wood turners and furniture makers of the time and has evolved into the Emma Lake International Collaboration. The standard lecture-demonstration event has developed over the years into an innovative hands-on experience that brings together artists from around the world, every two years, to make art for a week in northern Saskatchewan. In 1996 the event moved to the Emma Lake Kenderdine Campus, an artists’ retreat in the northern boreal forest (hence the name “Emma”), operated by the University of Saskatchewan. The success of the open studio sessions at past events led organizers to drop all formal instruction in favor of the totally hands on “no format format.” To broaden the creative base from wood related disciplines, organizers decide to include blacksmithing, metal fabrication, a foundry, painting and anything that fit the spontaneous nature of the event. In 2006 Emma International Collaboration moved to the site of Ness Creek near Big River, Saskatchewan. Over the past 20 years Ness Creek Music Festival has been host to musicians from all over the world and are in the process of expanding their site into a multi-functional arts center. Emma International Collaboration is one of the five key founding organizations of the Jack Milikin Center, a planned creative cultural facility that will nurture and steward cultural activities in Saskatchewan. 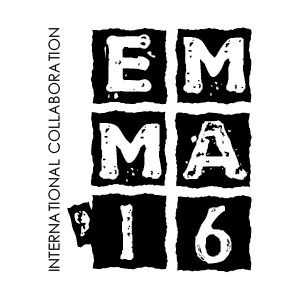 “Emma” has become catalyst for worldwide creativity. Since adopting this new spontaneous approach to learning several collaborative events across the world have emerged. Notably; CollaborationNZ, Northland New Zealand, Echo Lake, New Hope PA, Hawaii, Portland, OR, Sydney Australia, Perth Australia.